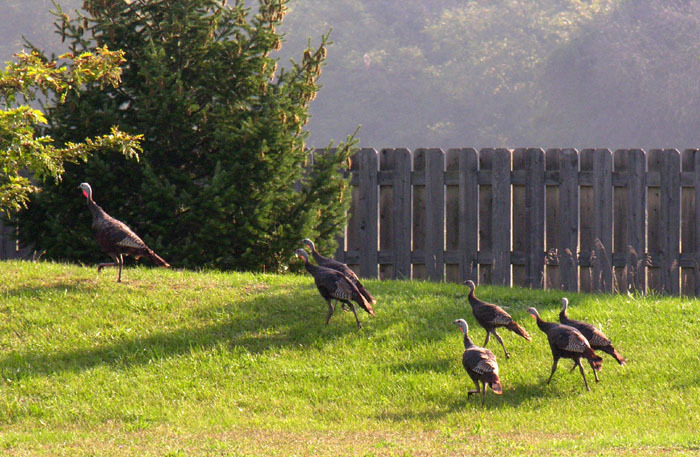 We share our country property with many kinds of animals, including whitetail deer, red foxes, coyotes, cottontail rabbits, grey squirrels, red squirrels, striped squirrels, woodchucks, muskrats, voles, field mice, toads, raccoons, possums and skunks. 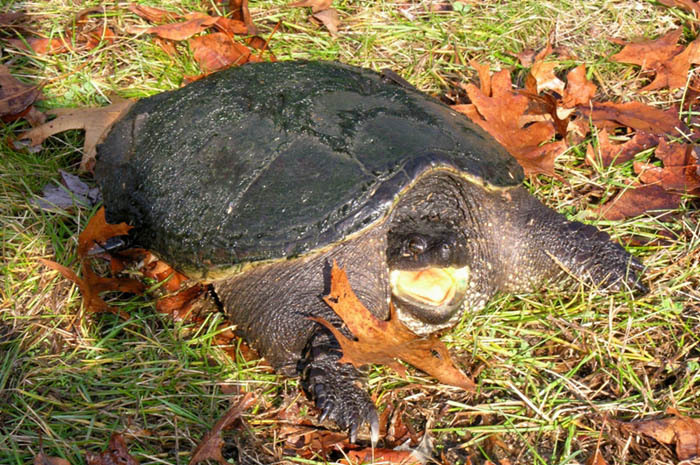 Snapping turtles, box turtles, frogs, peepers and small non-venomous snakes share our pond and marshes. 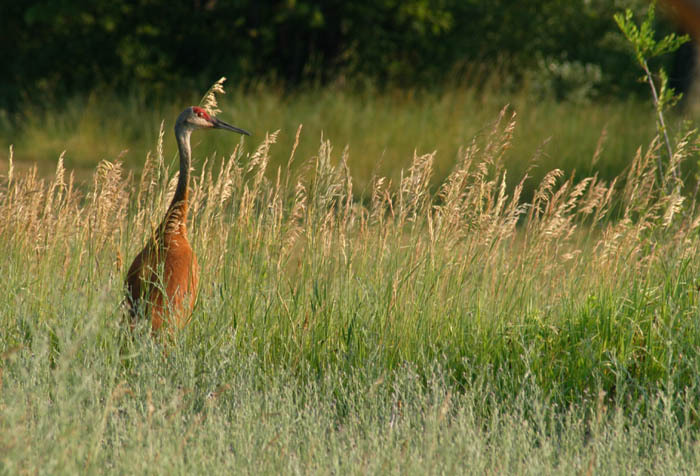 A wide range of birdlife also share the land, not only many types of songbirds but also sandhill cranes, great blue herons, redtail hawks, great snowy owls, barn owls, wild turkeys, pheasants, canadian geese and various types of ducks. 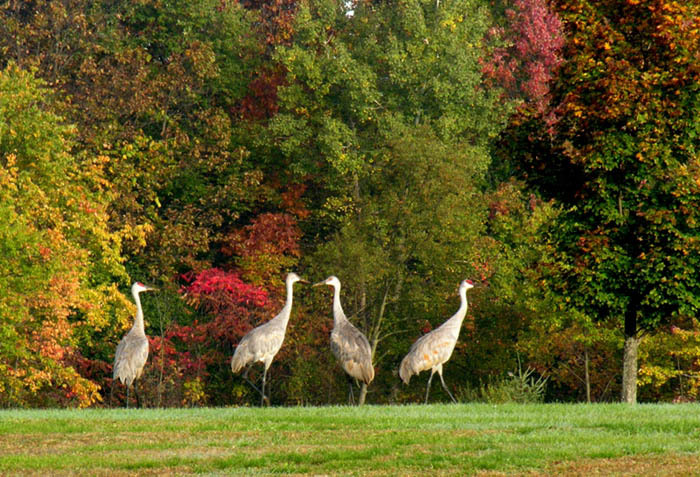 As a result, we often enjoy wildlife-watching on our property and occasionally photograph them too. This page includes some of those photos. 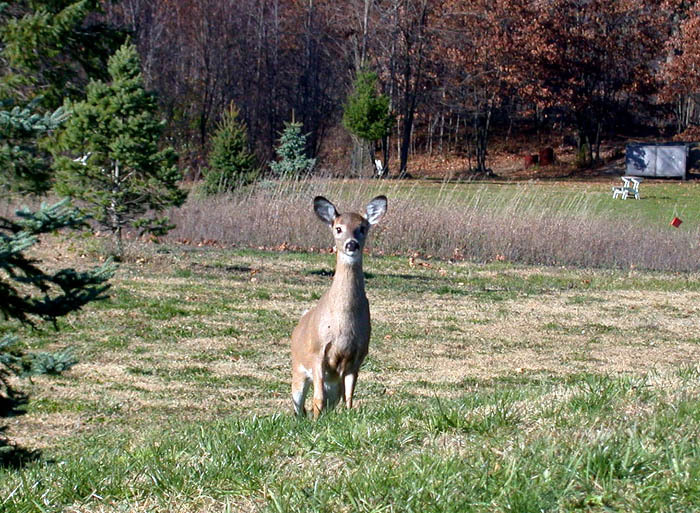 The many deer on our land are shy and are mostly twilight feeders. 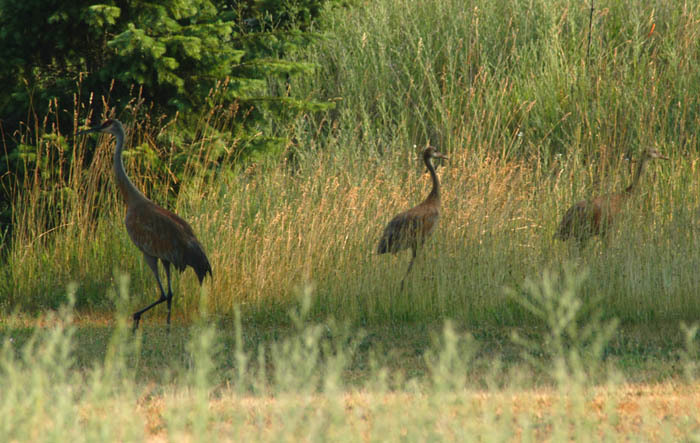 We need to track and stalk them very stealthily in order to get close for photographs. Looking from an upstairs window on this nice sunny afternoon, I spotted two does grazing in our upper field about 150 yards north of our house. 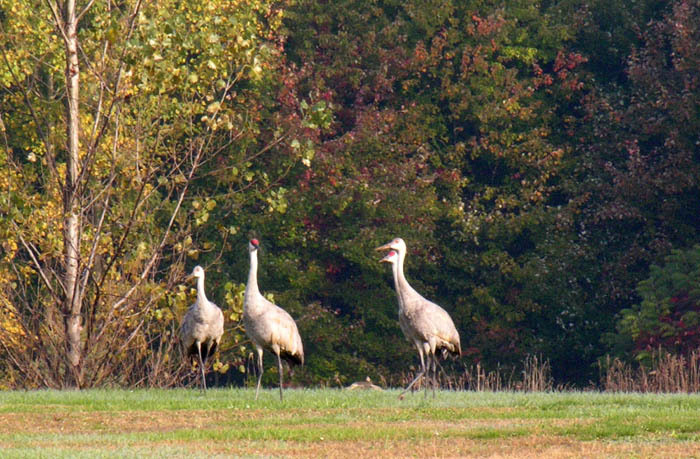 The slight westerly wind was favorable, as was the moist ground from recent rains, so I decided to see how close I could get to them and take some photos. Wearing quiet camouflage clothing and moving from tree to tree, I silently stalked across the mostly open fields, keeping various land features between me and the does. I was finally able to sneak up onto a berm only about 20 yards from them. I brought my digital camera to my face, concealing my eyes and prepared to take pictures. 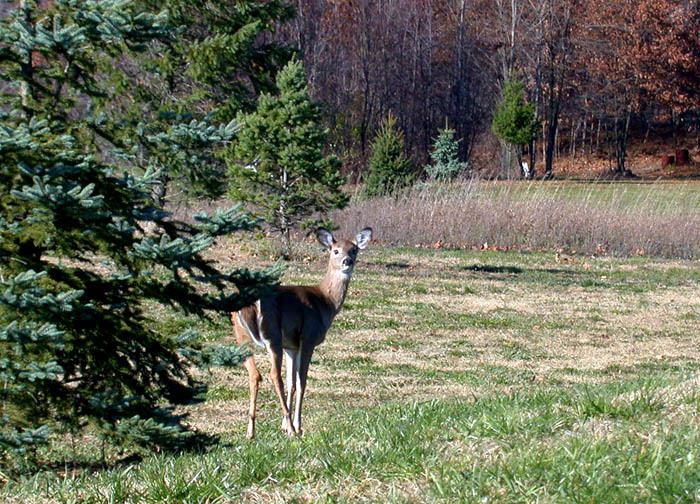 As I slowly crept up over the top of the berm and stood up into the open, I saw one doe about 40 feet away facing away from me. I froze just as she turned, sensing that something was possibly amiss behind her. She stared at me for a while, but couldn't figure out whether I was a tree, or a bush she had somehow misremembered, or possibly something new. Her curiosity gradually got the better of her, and she started walking towards me to check this out. She stopped about 20 feet away, and stared again. As a sign that she might be slightly worried a bit that I might not be a bush, she tromped the ground a couple of times with her front feet. 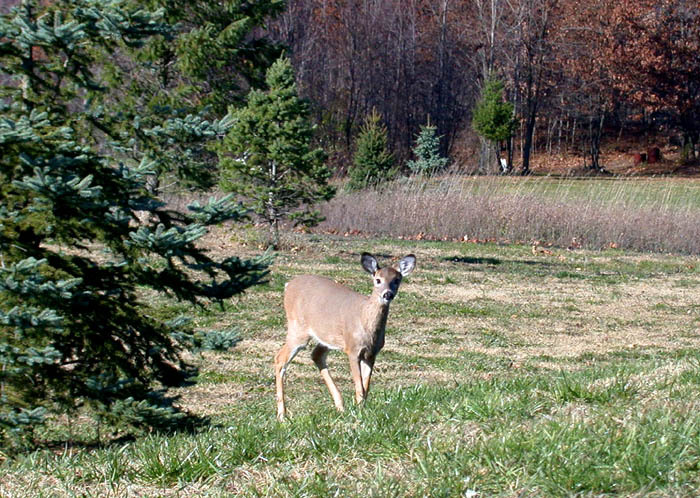 Not detecting any animal-like motion in response, she came even closer. I stayed frozen. At this point, I slowly lowered the camera from my eyes, and looked at her over the top of it. Then I blinked my eyes, to see if she would notice. She instantly perceived that a deadly predator was right there in front of her and looking straight at her! She bolted. 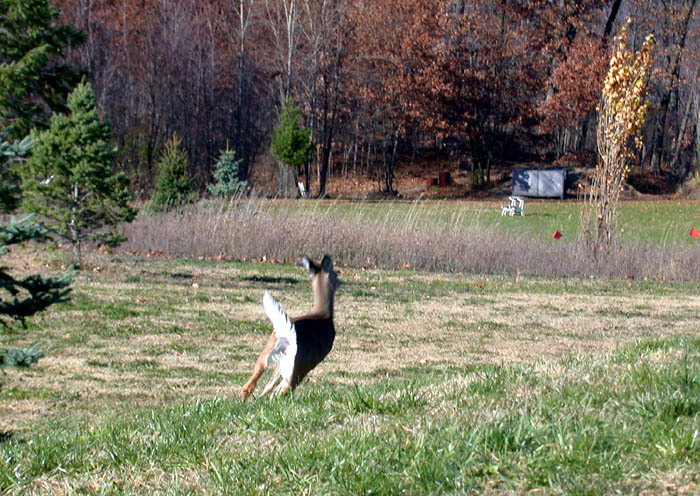 As she took off, the other doe that had been just out of sight over the top of the berm to the north also bolted. 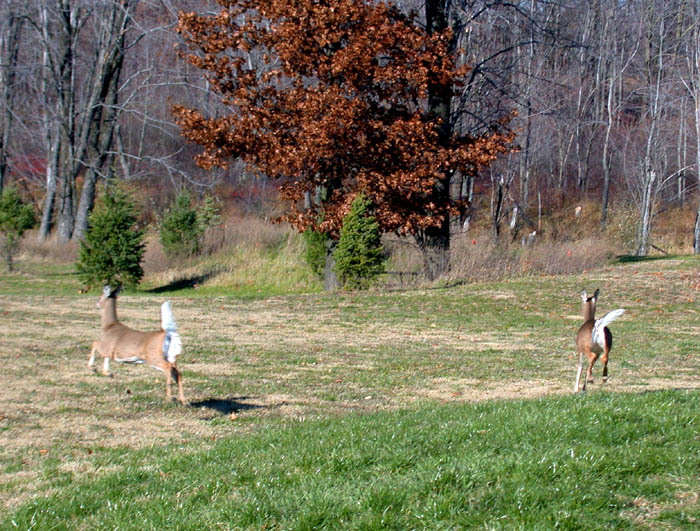 They both ran off towards the safety of our north woods and wetlands. You can scale his size by the Sven Saw; it has a blade that is 21" long. 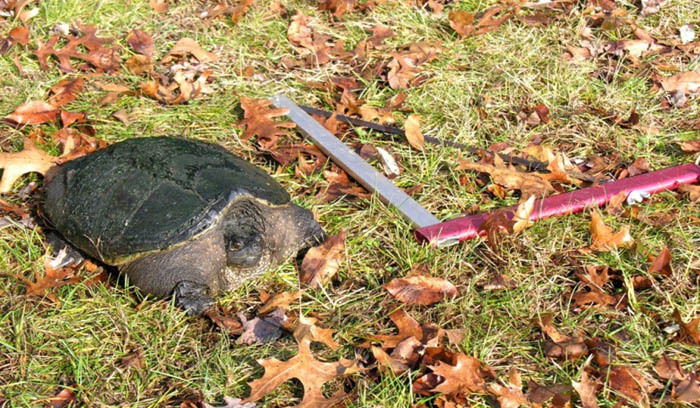 As you can see, these critters have quite an attitude when they're out of the water! 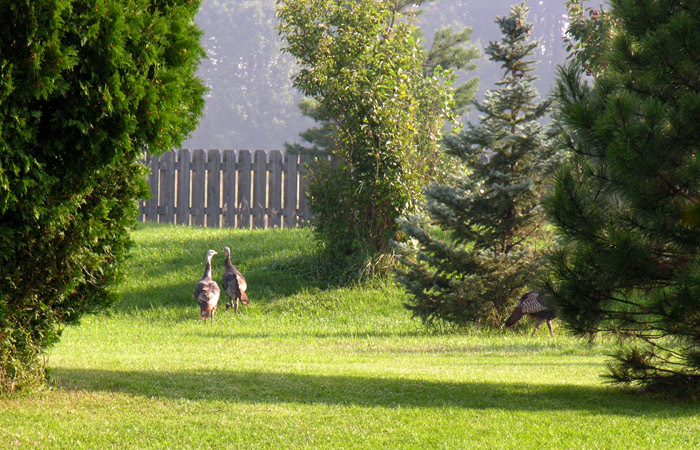 On a bright September morning in 2006, I saw some wild turkeys foraging near our East fenceline. 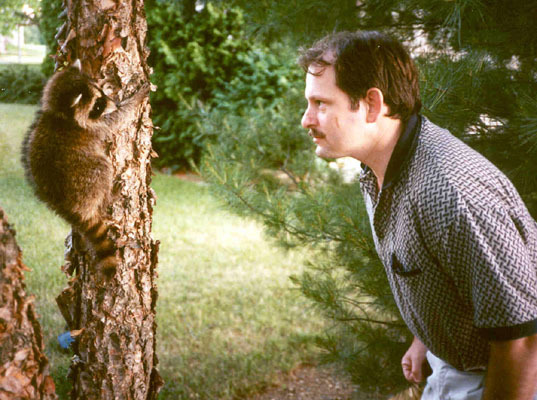 This young racoon seemed somewhat lost, and didn't know what to make of Charlie!